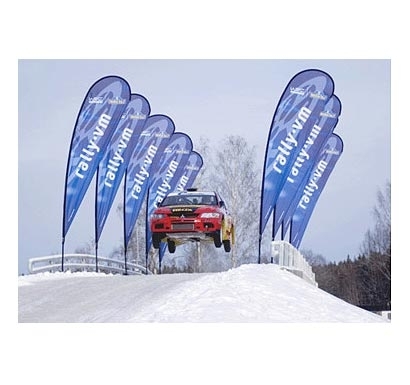 Flying Banners are great for indoor and outdoor use and are available in 6 sizes. The innovative design of the Flying Banner ensures they cut through wind and rain and remain standing. Flying Banners are now available in our uniquely engineered fabric to give the option of printing single or double sided. The patented "Quick Connect" is our unique system which locks the banner onto the pole and the pole onto the stake to add strength and stability. Flying Banners come with a standard metal stake and are also compatible with our other hardware.